For this image I tried something different. 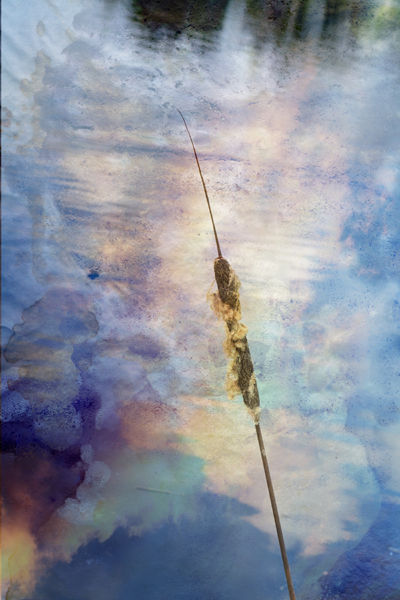 I used Lost & Taken’s texture “Etherial Stains 07” as the background then used my photo of the bullrush as an overlay in blending mode “hard light” at 90%. Usually I would use the texture as the overlay but here the texture was strong enough to enhance the bullrush shot which was mainly brown and grey muddy water and pretty boring. 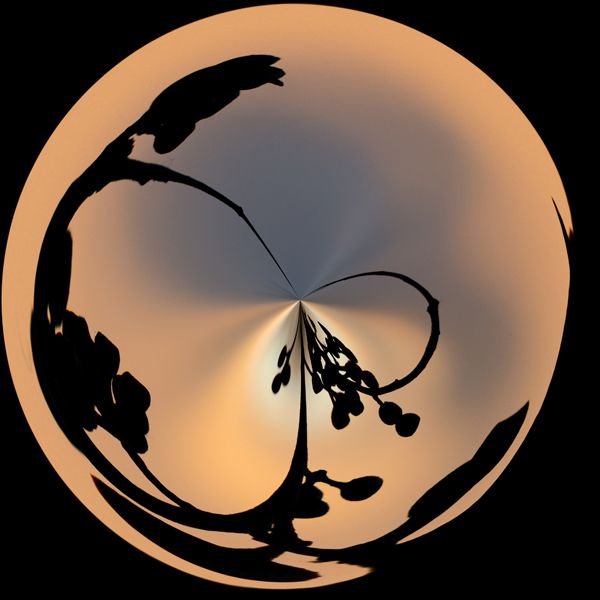 This Polar Co-ordinate turned out in the Art Deco style, partly I think because of the colouring. I’ve included the original shot below which had an orange sunset behind it but is nowhere near as spectacular as the polar co-ordinate. Glen Reigh Railway Station is sadly, unused and showing the signs of vandalism, age, termite distruction and the effects of weathering. The main railway line between Sydney and Brisbane runs on the far side of the building, but everything this side (plus the building) is abandoned. An interesting look at times past and a fabulous spot to get lots and lots of textured images of rust, paint, wood, you get the idea. 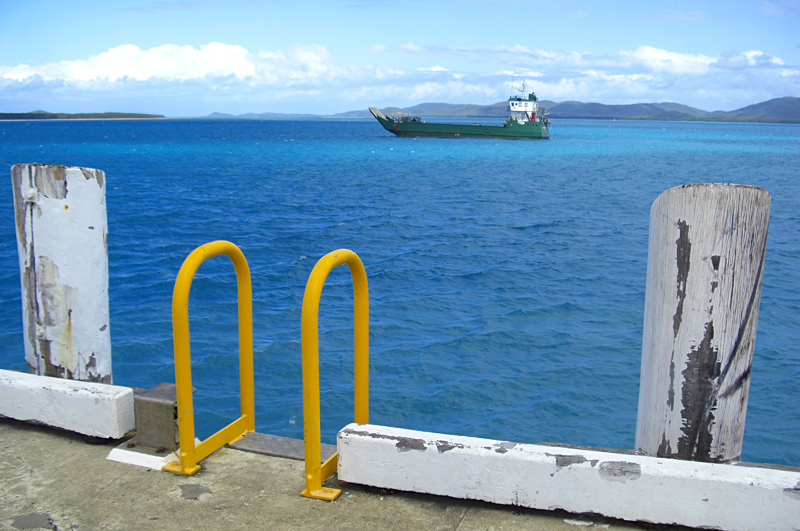 Thursday Island is a boat ride from Cape York (the northern most part of Australia), and is one of the many inhabited islands dotting the seas between Cape York and New Guinea. I make a Product once a month from the themes of that months A Quilters’ Project 52. This month (April) the choices were – Old; Fruit; Landscape and Architecture. I chose to use Landscape from this month and made 4 of the eventual 6 placemats using a similar look to the small quilt I made for Landscape on Friday 19 April. I quilted different grid patterns across the background so although they are similar they are different to each other. 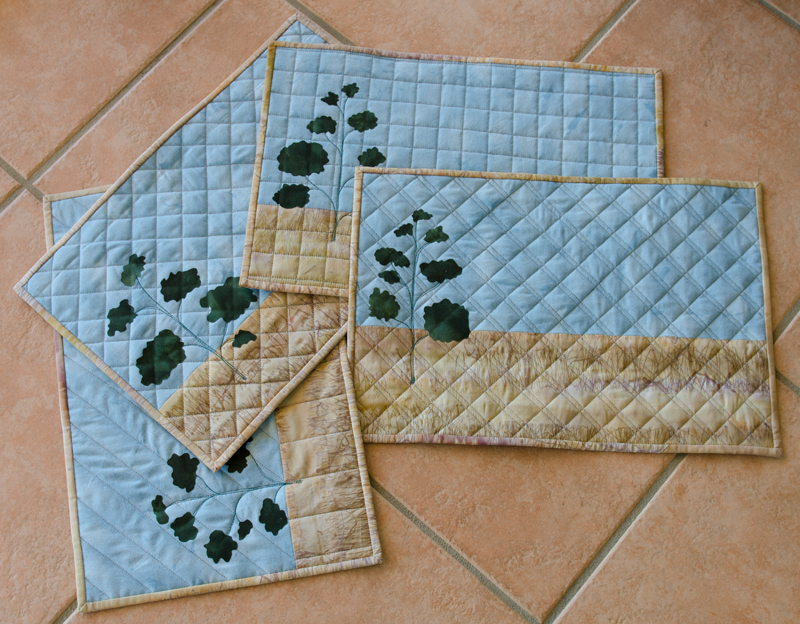 The other two are cut ready to quilt but life happened and the last two didn’t get finished – yet! I actually hit a BIG kangaroo while travelling at 100km on a local road, I’m OK (really), the kangaroo isn’t and neither is my car. Thank goodness it’s a heavy 4×4 ute. 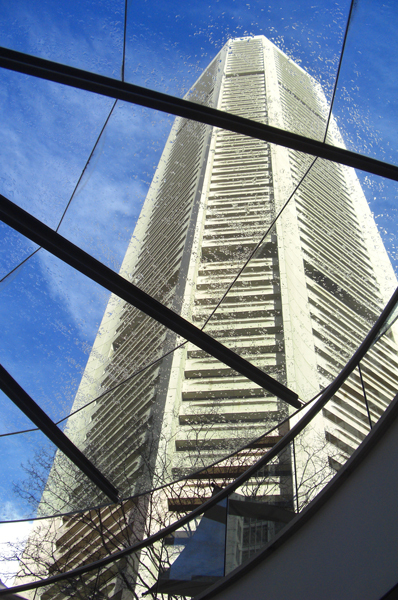 Looking up while having an early morning coffee in the city after a shower of rain. Everything looked so sparkly clean with the bright sky, and I loved the angle to the building which I couldn’t get from anywhere else. 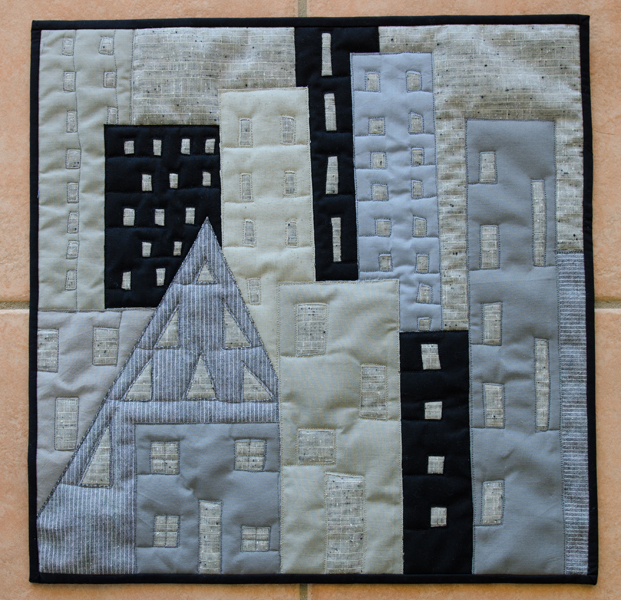 This Friday’s little quilt on the theme of Architecture is all about the cityscape and how grey and uniform it has become. 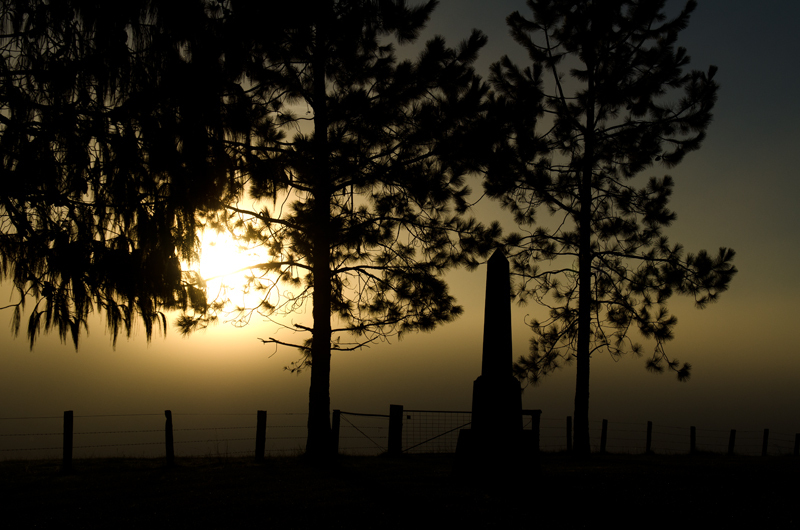 Today is ANZAC Day in Australia. It is a national day of rememberance in Australia and New Zealand, originally commemorated by both countries on 25 April every year to honour the members of the Australian & New Zealand Army Corps (ANZAC) who fought at Gallipoli in the Ottoman Empire during World War I. It now more broadly commemorates all those who served and died in military operations for their countries. 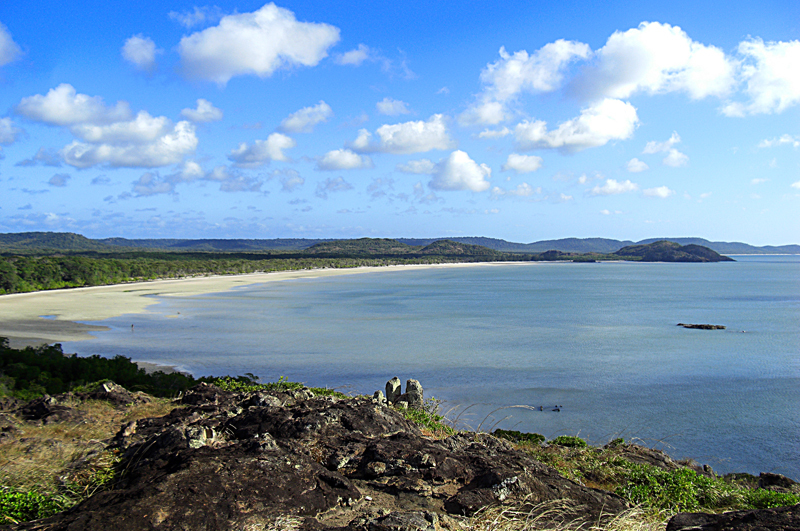 The northern most point of Australia, Cape York and miles and miles of deserted beaches, crystal clear waters and warm sunny days. This was in the winter season. 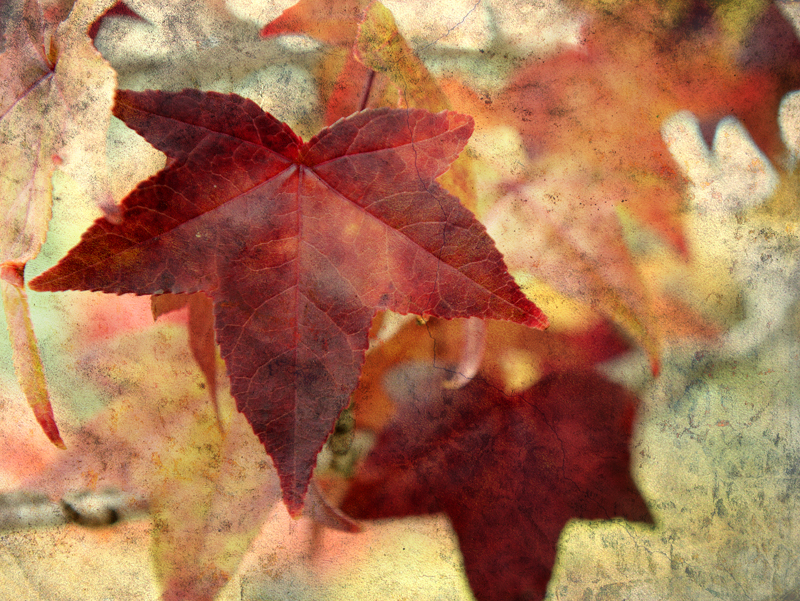 Autumn leaves with a Shadow House Texture – “Worn thin 6” with blending mode “hard light” at 70%. I love how textures can make the background more interesting and at the same time tone it down so the intended focus is where you want it to be. And yes, it is Autumn in Australia. 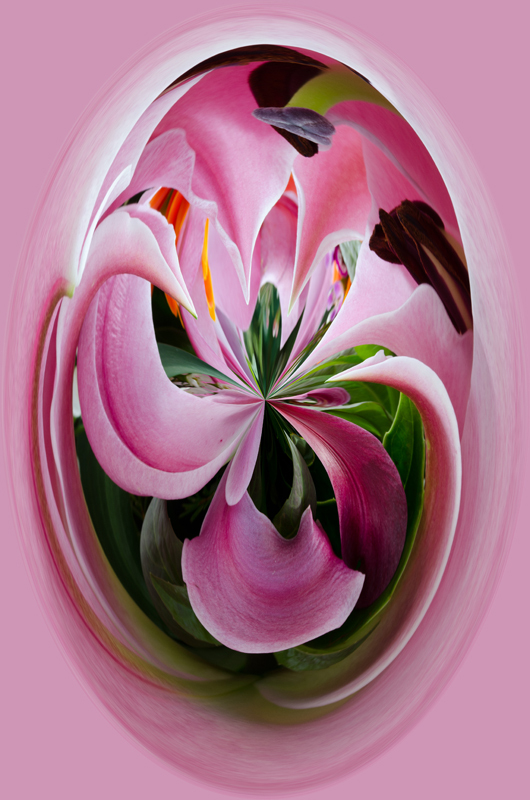 Another Polar Co-ordinate, this time of a pink Lillium. 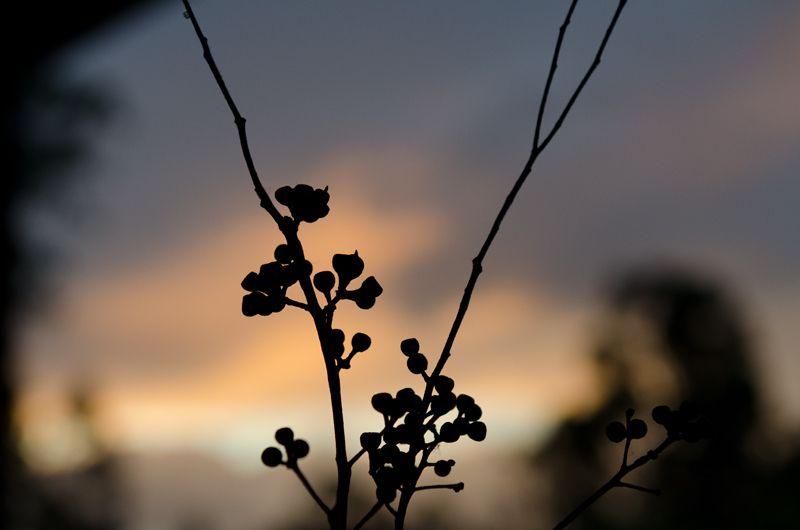 I just love the way the flower is changed, and with slight cropping the resultant image can be totally different. Enough fun and joy to keep me busy for hours.